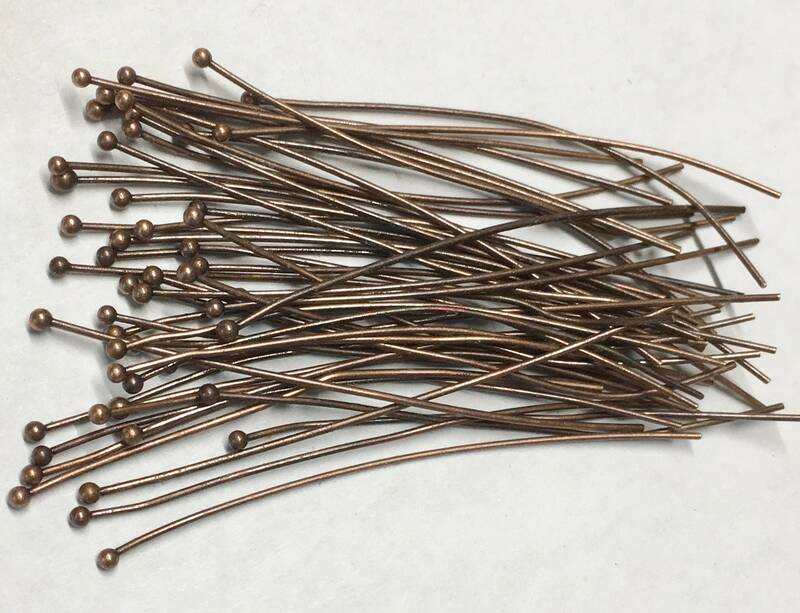 2" (50mm) thin copper tone ball-end head pins. 22 gauge. Ball end tip is 1.5mm. Antique Bronze Plated over brass. Thin head pins are for small-hole beads. You choose either 50 or 100 head pins. Made in the USA. Color of pins may vary. Pins may not be completely straight but can easily be straightened as you work with them. Thanks for these! I had a hard time finding them in local shops.